Now, even before I start, I must confess that writing an article on Thai food is not a simple task. I assume that a book would be more appropriate to try and describe the vast amounts of street food and the diversity present in Thailand. Unlike my previous trips where I searched for places on the internet, for their reviews and went to test them, in Thailand I did something different. I only ate street food and a couple of times little places with two or three tables outside. Now I know that many people when travelling to new exotic places, such is Thailand, they fear their stomachs will suffer and their whole trips will be ruined. For example just a few weeks before me I had a group of people going to Thailand and ending up eating at McDonalds for the entire trip. Out of safety reasons. Now before we jump on judging I must say that while it is a pity not to taste from some things I can definitely see their point. Traveler’s diarrhea is not something to joke about and a single meal can ruin your trip for days so this being said if ever in doubt or fear something don’t eat it. Maybe you won’t be able to brag to your friends about eating snakes or spiders but they won’t laugh at you for spending half of the trip shitting yourself either. My article, this time, will be structured differently. Since there is no point in telling you that if you go to Chiang Mai for example search for X street and after the second corner near the shop there will be a man selling noodles I will arrange everything differently. I will show you pics, describe what I ate, describe my feelings towards the meal and tell you its price. 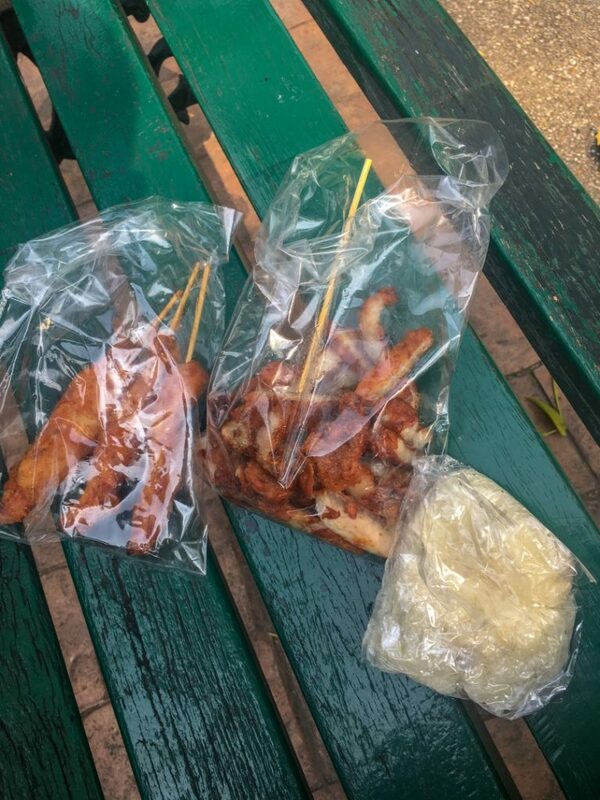 Maybe you don’t believe me but Thailand means street food. On almost every corner, on every street there are many people preparing and selling food ranging from weird things to normal dishes like chicken, noodles, pork, etc. Out of the start I must confess I did not eat anything crazy. No spiders, no insect, no stuff like that. And this is not out of fear of not getting sick but out of the reason that I’m not attracted to this type of food. If you do travel in Thailand and are curious perfect. But if you are not attracted save yourself and maybe your stomach will thank you for it. Cooking in Thailand, in my opinion, is not only about food but the passion for cooking. I saw countless people juggling with food, smiling, moving fast, joking with you while they prepared it and they genuinely seemed to enjoy doing that. Cooking the food. Now a thing you must know is that while tourists eat from street vendors most of their customers are locals. Not sure if this is because of the fear of being sick or not but Thai people flock all the street carts and stand in line for the meals they like. Thais love to eat out. The food is so good and so cheap that cooking at home does not bring an extra or a major saving. 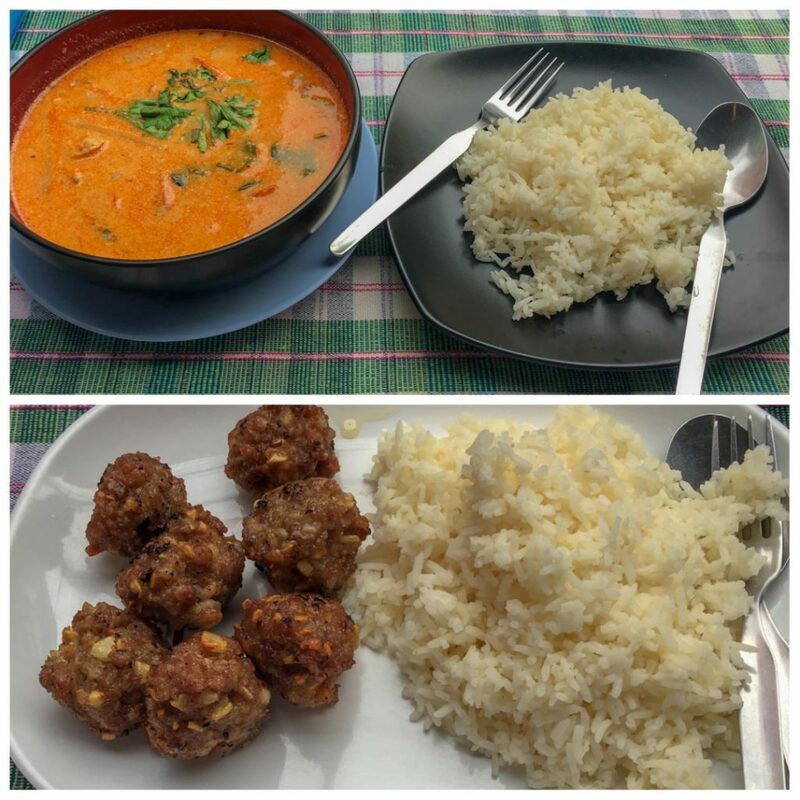 My experience with Thai food is limited to two cities (Chiang Mai and Bangkok) but I am certain that great food is available in all corners of Thailand be it the far Chiang Rai or on Koh Samui for example. 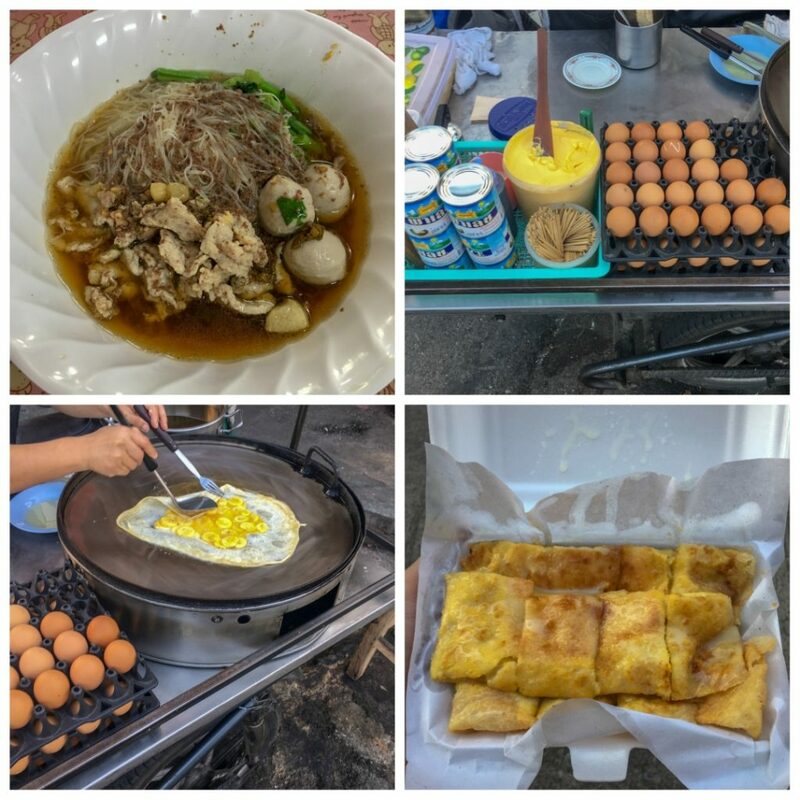 Before I dive further I must tell you that Bangkok street food is worldwide famous. And I am not talking about ordinary praise, from simple tourists but I am talking about real food critics, book writers, etc. As an example CNN named Bangkok as the city with the best street food on the planet twice. Before we start I must make a confession. I did pray before and after each meal that I don’t need to use the bathroom so even I was a bit afraid of the tales people spread when they came home from their holidays. 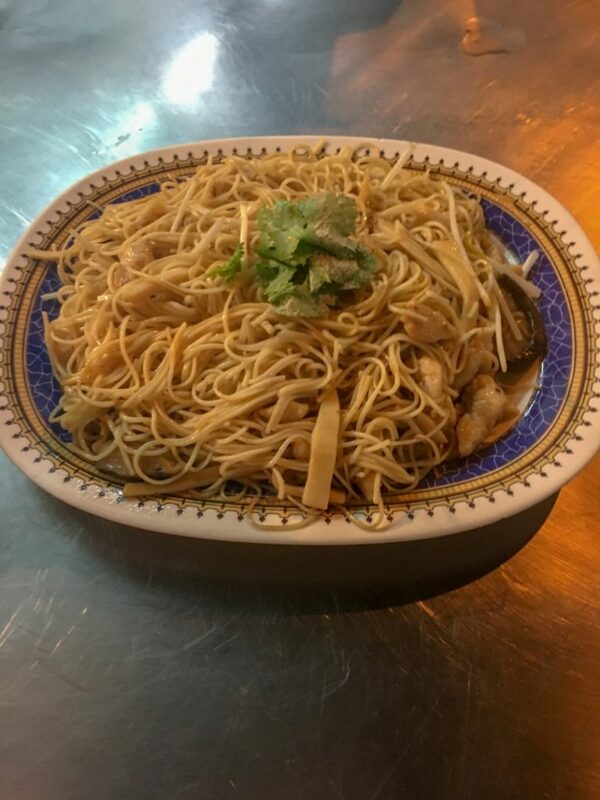 My first meal in Thailand was in Chiang Mai at a little shop just near Pratu Chiang Mai consisted in a bowl of chicken noodles and a mango ice cream. A classic no? For my first meal I went extra cautious, to get my stomach used to this new kind of food. As I underwent a complicated appendectomy five months earlier I was a bit anxious about eating spicy food so my firs meals were not that hot. Later on as I went more and more on the streets of Chiang Mai I tried a good portion of pork noodles and later on a rottee cheese banana. Since this was my first day in Thailand I kind of went overboard and that night I managed to stuff in some dumplings and some mango and sticky rice. A lot I know but they were simply delicious. While the noodles, both chicken and pork, were good the sweets were absolutely delicious. As you can see from the pictures above this was a lot of food but as I managed to walk for about 18-20 kilometers that day I felt a little less guilty. And now for the best part: the prices. I paid 120 bht for the chicken noodles and the mango icecream, 50 bht for the pork noodles, 40 bht for the rottee banana, 30 bht for the dumplings and 50 bht for the mango and sticky rice. A grand total of 290 bht. That means 7.48 eur. I will say that again. 7.48 eur for quite a lot of food. Now you understand what I wrote earlier about food being extremely cheap. But also delicious at the same time. What started with the idea of me eating a little less in the beginning ended with quite a few meals but I can’t really complain due to the fact that they were good. I really loved, as I will say often, to watch. Watch how my food was made, arranged, served. I loved watching the entire process and in some places I managed to take photos of the process. 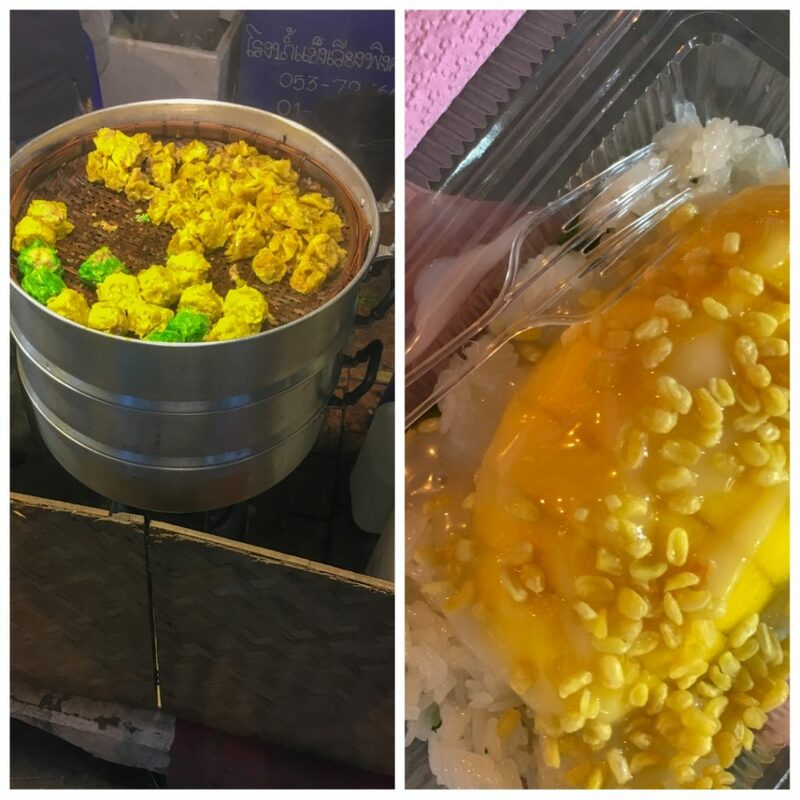 I never ate mango and sticky rice before coming to Thailand but I kept hearing people saying that is a must so I have tried it. I loved it and I can really, honestly say that I could eat that combo every day. 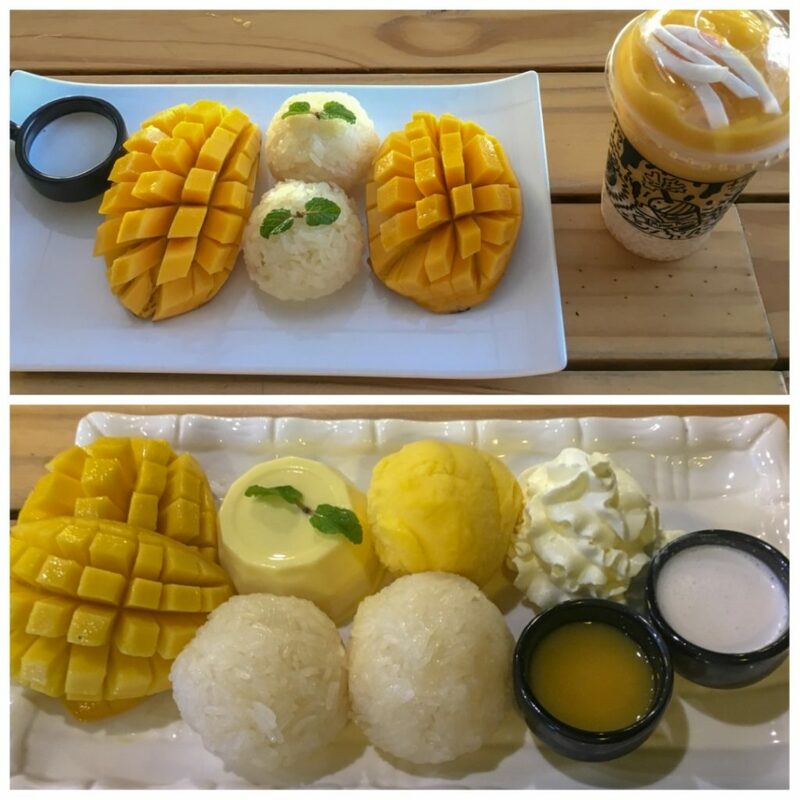 I tried mango and sticky rice both from the streets and from Mango Mania in Chiang Mai. While the mango bought from the streets tasted delicious I advise you to pay at least a visit to Mango Mania. The mango and sticky rice, the shakes, the mango ice cream, they are all incredible. I never thought I could eat so much mango because frankly back home I don’t remember eating more than 5-7 mangos all my life. Regardless of the place you chose to eat this dish, be it Chiang Mai Night Market or Mango Mania the prices are very low. So you can easily try more than one mango based dish. As you can see from the above picture my second day meant mango and sticky rice at Mango Mania. In the morning and as a last meal that evening. In the middle I managed to sneak in some rice noodles with spicy pork and some fishball and noodles. With prices like 190 bht for mango and sticky rice and mango shake, 25 bht for noodles and spicy pork, 25 bht for fishball and noodles and a mango plate for 164 bht that took me back 404 bht. That meaning 10.45 eur. While many will say that this is much for a day’s eating in Thailand I must stress here a few important things. I was my first time in Thailand and only for 7-8 days. While budget travelers or people who manage to travel the country for large periods of time do pay attention to every little detail I didn’t feel the need to do so. I let myself indulge and try each little thing that caught my eye or to be honest each little thing that caught my eye and I considered safe for me to eat it. While I could have managed on far less food I was curious to try things. This curiosity of course leads to a bigger paycheck but since my trip was short I didn’t feel the need to cut on things just to save a few euros. While I was not much impressed by the fishball and noodles and only deemed the pork OK the mango felt amazing so all in all I guess you can say that this day was ok also. Moving on to Bangkok on my third day I was starving after the flight and half of day exploring the city so on that day I tried the chicken and pork skewers for 30 bht, dumplings with seafood and pork for 40 bht and a pork and soup rice for 60 bht. I loved the dumplings. Pork, seafood, they were all hot and delicious and I’m so glad I stopped and ate them. I won’t comment much on the skewers because while good I’m having skewers more or less the same back home so that was nothing new for me. They were good but nothing to say” you really have to eat this” unlike the dumplings which really are a must. 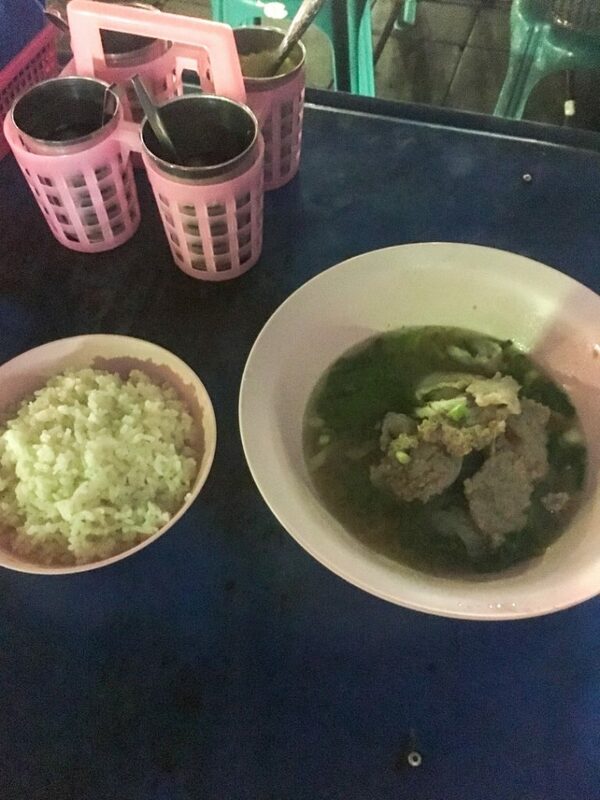 The pork soup and rice was mediocre. I didn’t enjoy the rice since I found it boiled in a way I don’t quite enjoy it and the liquid/meat was nothing special. At 3.35 eur spent that day on food I can’t really complain but those dumplings not only saved the day but stuck in my mind and I would recommend them to anyone. The next couple of days I ate mostly things I have tried before and liked with a few mentions. Across the imperial palace on my way to Wat Arun I stopped for a meal and served a portion of Tom Yum Koong priced 100 bht(2.58 eur) and a plate with fried garlic pepper pork balls and boiled rice at about 130 bht(3.35 eur). While I was disappointed by the rice the Tom Yun made me consider the fact that my hotel was 15 kilometers away and I didn’t know how to say toilet in Thai. Frankly it was good in taste but one of the spiciest things I ever ate in my life. At one moment I stopped eating when my stomach gave me a few subtle hints and I ordered another small portion of boiled rice just to be sure. If you’re in for spicy things find yourself a place that sells Tom Yum. You will enjoy this dish. While visiting China Town one evening for a photography session I was attracted to a place where a man kept frying noodles in a large pan, throwing them in the air and catching them with dexterity. I was the only tourist on the few tables outside so I sat down and ordered a plate of Hong Kong fried noodle priced at 200 bht(5.16 eur). Since I was the only tourist at the table and surrounded by people whose skills with the chopstix were clearly over mine I saw some curious eyes as I grabbed my pair of sticks and attacked the large portion of noodles. While I might not be the greatest chopstix handler in the world, years of eating sushi, noodles or Pho soup brought me some skills I am kind of proud of. You won’t mistake me for an asian but I’m decent. All in all I must say that during my week spent in Thailand I did not spend on food more than 50 eur. While the sum will seem ridiculous for many people I urge you to look at the pictures and imagine a man at 190 cm and 110 kg being satisfied with his meals and the quantities received. Thai food is cheap. Everybody who visited Thailand can attest to that. And lots of people can attest to the taste of the food. While it may seem dangerous for many it would be a shame not to try a few things. And I’m not talking here about the sticky rice. That one is clearly a must. But also you could try a rottee or some dumplings. The thing is, in my opinion, that a big part of visiting a new country, especially a place from a totally different culture than yours, is enjoying its local cuisine. 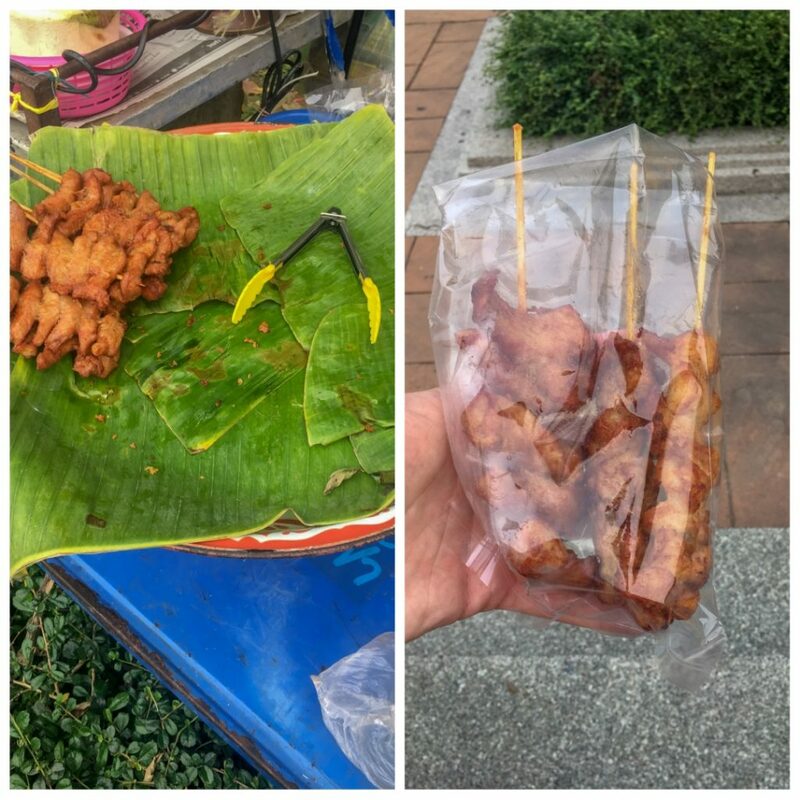 You could try something crazy (and there are lots of crazy things in Thailand) or you can go for something classic like chicken, pork, fish but you could at least try something. 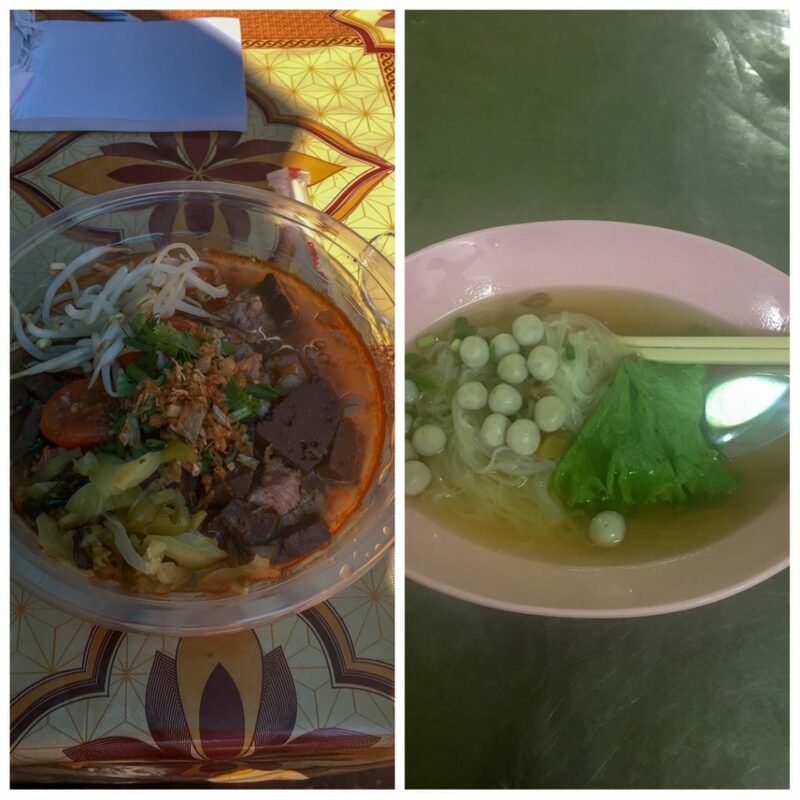 What I did in Thailand and worked for me in not getting any stomach problems? I will list bellow some of the things I did or some of the things I didn’t do that I think helped me in not having any problems. I did not drink water unless it came from a sealed bottle. And not just cap sealed but with that extra layer of plastic protection on top. Never drank tap water and as a matter of fact I can say that in most restaurants on the tables there were bottles of sealed water for customers. I never drank fruit juices. I am not a fan of them and I know for sure that they upset my stomach with fruits I know. While it may be tempting to eat an exotic fruit shake I know for sure how that will end for me. This is a controversial one. I did not eat fruits. I know, roll your eyes. While I do love fruits I know my stomach does not agree with them most of the time. From what I have seen many fruits are cut and kept on food carts in the sun for hours (some selling faster than others) but even with a little fermentation I know how I will feel after eating them. I avoided most things with much sauce, especially spicy things. While it is harder to be sick from a piece of meat, the sauce can wreak havoc on your stomach. I went extra on the rice. For me rice acts as a great stomach aid. I did not shy away from eating and did not take in consideration things like carbs, calories, etc. I was there to enjoy a unique experience not get ready for a fashion show. All of the above worked for me. But keep in mind that we are all different. If you are a vegetarian and enjoy fruits there is no way on earth you won’t eat fruits in Thailand. There is such a great diversity and there are things you can really only get there. Yes, I do have mangos in my country but I will be honest. Never in my life, even though I have limited experience with this fruit, did I found a mango to look and taste like a mango from Thailand. 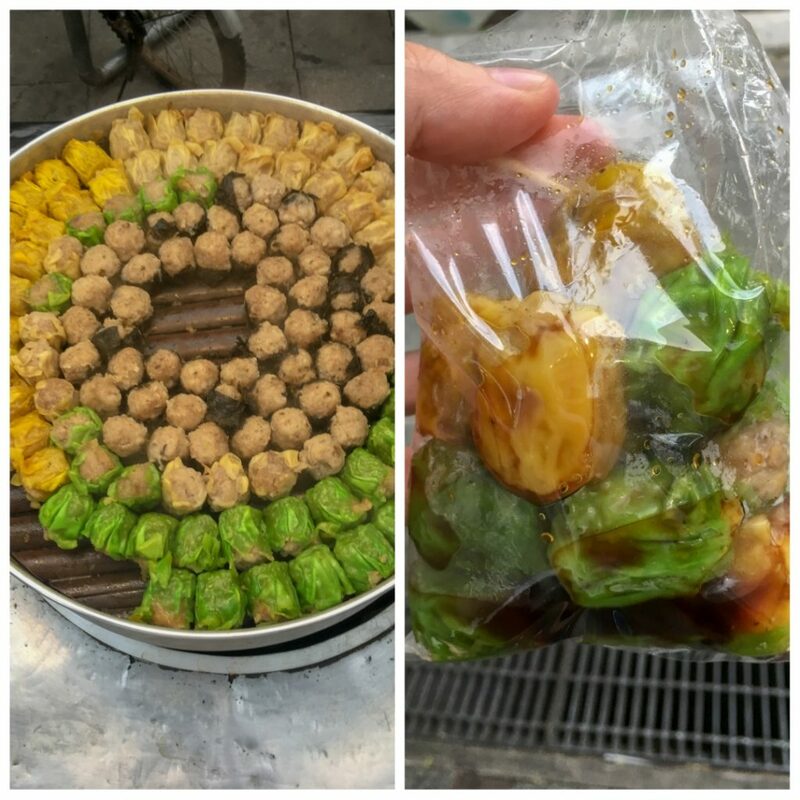 There are certain things you can eat in some places, things you won’t find in other places on earth or if you find them, they will be manufactured elsewhere, in different conditions with a totally different taste. Even though I tried maybe 15 things in Thailand I really stress the fact that this is nothing. Thai kitchen is huge. Really huge. And you can spend weeks trying different dishes and still be amazed each time. So my advice for you is simple. While it is great to take care of your stomach let yourself try a thing or two. You will be delighted in most cases. 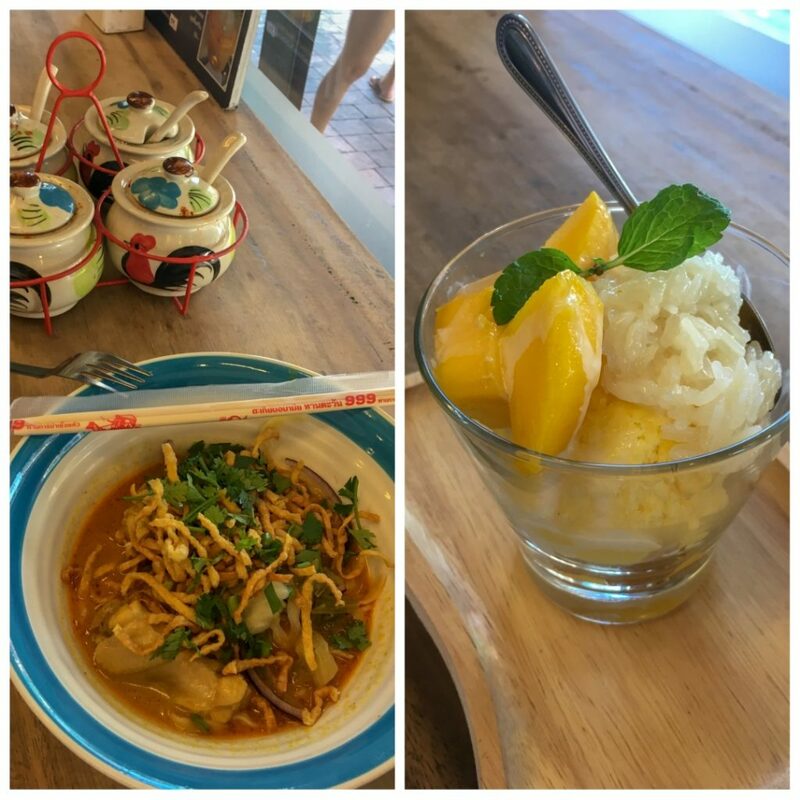 I am certain that on my next trip to Thailand I will try even more dishes and experiment new flavors.